This post was written by the team of WeChatscope, a research initiative led by Dr. King-wa Fu at The University of Hong Kong. With more than 1.0825 billion individual users, along with more than 20 million registered public accounts, WeChat has the largest number of domestic users and the most extensive coverage of any social media service in China. As such, it has become a chief component of China's rigorous censorship regime. In 2017, our team at the University of Hong Kong built a technical web “scraping” system for studying censorship on WeChat's publicly accessible pages. Throughout 2018, we tracked more than 4,000 public accounts covering daily news and preserved censored posts in a publicly accessible database, WeChatscope. This article is the third in a partnership series with Global Voices. Throughout 2018, two other top-10 censored keywords in our dataset were the names of technology giants ZTE and Huawei. The censorship of both terms has strong association with the censorship of “China-U.S trade war”. Together, the two companies are leading the development of China's 5G network, a strategic component of the plan. At the same time, both companies found themselves in pivotal positions in the China-US trade war in 2018. China's powerful tech sector was the prime focus of the 2018 propaganda film, “Amazing China”, which heavily featured innovations led by Huawei and ZTE. The documentary-style film claimed that China had already successfully developed quantum semi-conductors that would increase the transmission speed for high-quality videos on a 5G mobile communication network, an important infrastructure development for smart cities. Not six weeks after the film's release, the US Department of Commerce activated a ban on ZTE, that would prevent the company from trading with American technology companies for seven years. The official order — which was issued but then immediately suspended in 2016 — cited ZTE's sale of banned technologies to Iran, which had come to light in a 2012 FBI investigation. It also covered the purchase of semiconductors and other electronic components from Intel and Qualcomm. Just three days after the US announced an injunction order against ZTE, putting the previously suspended ban into full effect, China's propaganda department ordered the removal of “Amazing China” from all online video platforms in the country. An in-depth analysis of the ZTE incident, written by veteran journalist Wang Zihui, was published and removed from WeChat public domain on April 26, 2018. The article explains the background of the US export ban and ZTE's lack of investment in research and development of core chip technology. Another censored piece, entitled “A Japanese engineer's views towards the ZTE incident” (一位日本工程技术人员对中兴事件的看法), compared ZTE's business model with its Japanese counterparts. This piece was also published and then removed the same day. By May 9, US sanctions had brought ZTE's sales to a standstill, forcing the company to freeze production. WeChat posts that mentioned the China-US trade war, Donald Trump, and a variety of messages suggesting that China had been put at a disadvantage, were all censored. On May 14, the tide began to turn when Donald Trump said that he was willing to cooperate with President Xi Jinping to “resume ZTE’s business.” These were Trump's exact words — although somewhat unclear, they were widely interpreted to mean that he would either lift the ban or extend its suspension. Soon thereafter, articles discussing the probability that ZTE would be able to regain a share in global 5G markets began to disappear. It seemed that any narrative suggesting China had been harmed or treated unfairly — possible signs of vulnerability — was to be scrubbed from the network. Another more curious expression that was censored in high volume was “salted fish.” A reference to the common Cantonese food, people often use the term to describe a person or a company that is somehow doomed. The expression of “the return of dead fish” (咸魚翻生）signals that a person or thing that was once doomed has come back to life. When Trump suggested lifting ZTE's injunction order, a flurry of WeChat posts questioned whether ZTE, the salted fish, could come back to life. Along with “salted fish ZTE”, expressions like “the United States lets off ZTE this time” were also censored. Articles that were critical of state-backed enterprises like ZTE were targeted too. 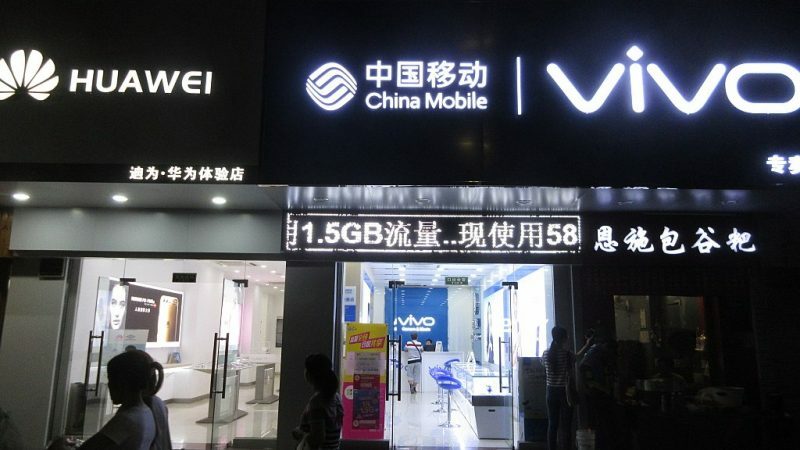 As the ZTE incident cooled off and the US lifted its export ban on July 13, censorship of themes related to Huawei became more and more visible. Established in 1987, the Chinese tech champion operates in more than 170 countries and has the largest market share in smartphones and telecom equipment across the world. Meng, who is also the daughter of Huawei founder Ren Zhengfei, was reportedly suspected of trying to evade US trade curbs on Iran. Her arrest was reported to the Chinese public on December 6, after Xi returned to China from the G20 Summit in Argentina. Two days later, the Chinese Foreign Ministry summoned the Canadian ambassador calling the arrest “unreasonable, unconscionable, and vile in nature” and warning of “grave consequences” if Meng was not released. State-affiliated media outlets echoed the message of the government. At the same time, the propaganda authorities handed down several censorship notices demanding that unauthorized media outlets stop reporting on Meng’s arrest and China’s 5G development. Our data confirms that WeChat followed the propaganda directives of the state. A report on Meng's arrest, “Meng Wanzhou is targeted, Huawei is suffering” (晚舟搁浅，华为遭难), which connected the incident to the trade war, was removed on December 7, 2018, one day after it was published on WeChat. Speculations and conspiracy theories that circulated among overseas Chinese communities also made their way onto WeChat, but were quickly censored. One of the more popular theories connected Meng's arrest with the December 1 death of Stanford theoretical physicist Zhang Shoucheng. Another connected the arrest with a factory fire at the Dutch tech giant ASML, the world's leading manufacturer of extreme ultraviolet lithography machines. Theories that built upon nationalist expressions were also censored. For example, this commentary titled “Huawei is a demon's mirror” (华为，就是一面照妖镜), which compares the US to a demon wanting to contain the expansion of China, was published on WeChat on December 7 and removed one day after. Monitoring the censorship pattern involving ZTE and Huawei, we can see that the Chinese government is walking a thin line. The government wants the country to be seen as a great power, part of the “Made in China 2025″ campaign. And it wants the reputations of Huawei and ZTE to remain strong. But it does not want these companies to be seen as state-controlled — this image could damage China's reputation, presenting it as a “threat” to the existing world order amid the trade war between the U.S. and China. WeChatscope team includes Dr. King-wa Fu, Dr. Yun Tai, Regina Chung and Coco Young.